Fields, meadows, roadsides, “waste places”. Was introduced to North America in the 1960s in an attempt to control Butter-and-eggs aka Yellow Toadflax (Linaria vulgaris), another introduced species. Studies have shown that while the caterpillars defoliate about 20% of plants, they don’t reduce plant density – I guess the plants are quick to fill in the gaps left by their eaten neighbours. 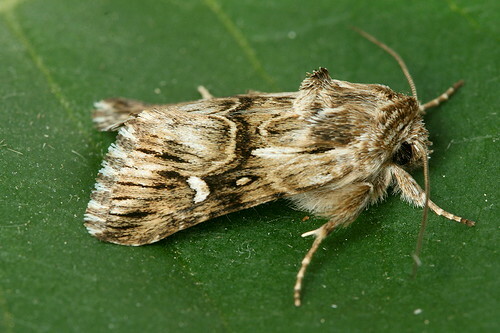 Meanwhile, in the east, the moth has spread from its original release site in Belleville, ON, and Nova Scotia, and is living comfortably through much of the northeast. 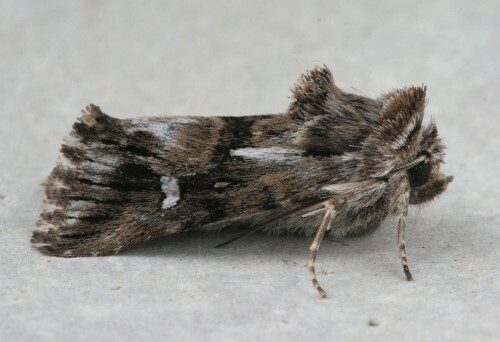 This entry was posted in moths and tagged Toadflax Brocade. Bookmark the permalink. Is is specific to toadflax, or has it adapted to any other plants?